REPORT FROM THE U.S.—Overbuilt and under demolished. The old adage has rung true in the United States hotel industry for quite some time, but several “dinosaurs” might soon face extinction as deteriorating assets age into obsolescence, according to hoteliers. “I think we’re on the edge of that happening,” said Gerry Chase, president and COO of New Castle Hotels & Resorts. “You always have the hope factor that the world will find these antiquated products and business will be good,” but that’s not always the case. “I haven’t seen enough demolishing,” he added. 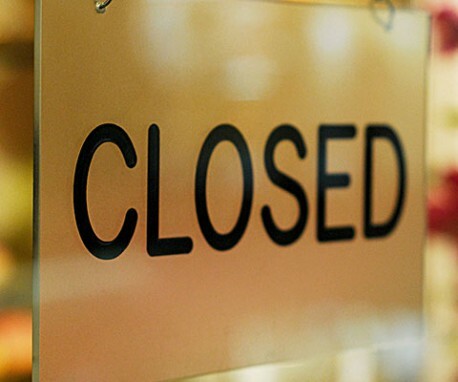 A total of 120 hotels closed permanently during 2013, according to STR, parent company of Hotel News Now. That’s up 12.1% from 107 closures during 2012. And even more are aging out of brand affiliations, sources said. The downward brand shift is common in the lifecycle of many hotels. What once was an upscale flag in its heyday becomes a midscale or economy brand before losing its brand altogether as years of deferred maintenance begin to take their toll. “We’re finding the dinosaurs are (shedding) brands,” said Gery Manthos, director of revenue management for Peachtree Hotel Group. The next phase in their lifecycle? Often it’s extinction. According to STR, the vast majority of properties that closed during 2013 were independent. Many old hotels, or at least the plots of land on which they sit, are ripe for redevelopment, Smith said. “What is the near- or long-term future of those hotels? Unless the owners or future owners of those hotels want to do a complete re-do of the property, I’m not sure what the purpose for those are. I would guess more than likely demolition and complete redevelopment of the land. “Because they are older properties, many of them built in the ‘70s, land was cheap back then. These properties tend to sit on a lot of acreage, sometimes two to three times what the typical hotel built today would be on. There are ways to redevelop the properties with a couple of different new ventures just because of the land mass,” he said. Those types of investment opportunities are few and far between, said Brian E. Bolf, regional director of revenue management for Kokua Hospitality. The flow of investment activity is much more one-sided, with investors converting existing real estate into hotels as opposed to converting existing hotels into other forms of real estate. “There’s no repurposed building in the opposite direction,” he said. Not all hotels fall victim to such antiquation, however. Older assets often make for sound brand conversion opportunities, Bolf said. Chase and the New Castle team share a similar investment outlook, searching for potential conversion targets in older hotels that aren’t too far past the brink. Ultimately, an asset’s viability rests in its ability to give guests what they want. “We want things that are clean, efficient, bright and airy. We want products that have a lot of connectivity to them and space that is very functional, whether it’s the public space or the guestroom,” Chase said. “Some of these products just can’t make this happen.